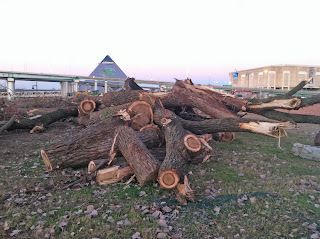 Today the online Commercial Appeal reported Tree-clearing near Bass Pro stopped by order of Corps of Engineers. It appears that the action was given the go ahead by someone within the City Administration and was done outside of standard and required review and permitting procedures. 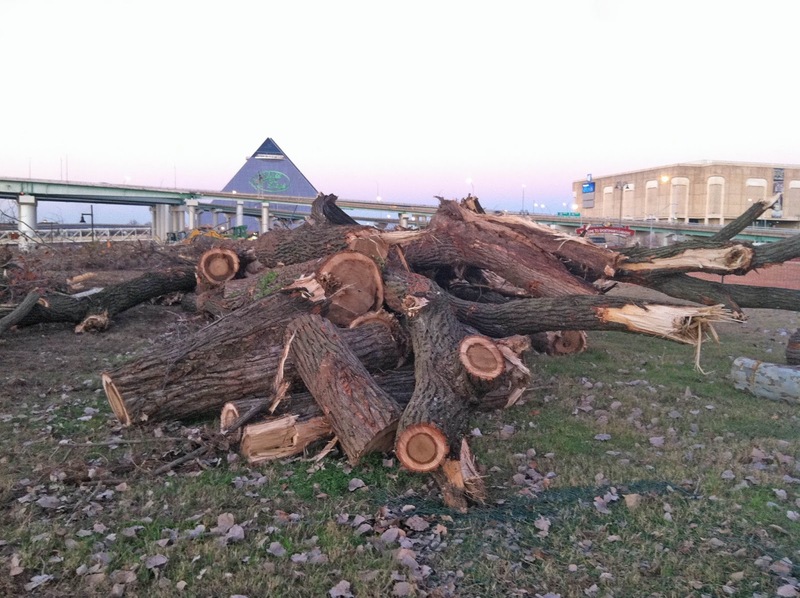 Some of the trees were 75-100 years old and provided shade and beauty around the TN Visitor Center and extending north along Wolf River Harbor past Pyramid/Bass Pro to the U.S. Coast Guard facility.